The Motorola X Phone is sure to be a 2013 contender in the smartphone market. If you’ve read any smartphone news (regarding the Motorola X Phone or any other smartphone, for that matter) these days, you’ll see that each manufacturer is trying to create the best handset on the market. Last year, 1GB of RAM, 4-inch displays, and 8-megapixel, rear-facing cameras were the top specs in the industry; in 2013, a smartphone is considered to be “so 2012” if it does not come with 2GB RAM, 2-megapixel, front-facing camera, 13MP rear-facing camera, and a five-inch display (Android). While it may not be true for the latest Motorola X Phone, future Moto X phones could come with bendable displays. Ghost Sightings: Where is the Motorola X Phone Now? We cannot speak for smartphones to come, but it is also apparent that aluminum has become the top smartphone material (and thus, another 2013 guideline) that makes a phone either rank among the best or the worst. It all started with Apple’s iPhone 5, in which the aluminum metal back replaced the glass backing that was part and parcel of iPhones in the past. The HTC One was just revealed some weeks ago having a metal design, and recently, the Nokia Lumia 925 was introduced with a majority-metal display. Each year, new guidelines for the “latest and greatest” are added to the already-long list of tech standards. Along with the desire to see new gadgets each year that exceed standards and expectations, some tech enthusiasts and consumers spread “rumors” about what a certain device will have. We here at Tapscape want to take time to provide some rumors on the Motorola X Phone, the features and specs, as well as some updated information on what we can know about Motorola’s next wonderphone. Where do I begin to talk about all the Motorola X Phone rumors? I know; I’ll start at the beginning. On December 21st of last year, an article from Macrumors provided a nice, juicy rumor about Motorola and Google creating a phone to compete with smartphone leaders Samsung and Apple. The announcement, made by the Wall Street Journal, also stated that the collaboration project between Google and Motorola would be called the “X Phone” project. According to Macrumors, “possible features [of the X Phone] seemed to be ambitious with exploration of bendable screens, ceramics, image and gesture-recognition software” (http://www.macrumors.com/2012/12/21/googlemotorola-developing-flagship-phone-to-compete-with-iphone/). Bendable screens and gesture-recognition software are two cutting-edge technologies that companies like Samsung are still trying to get down to a science. 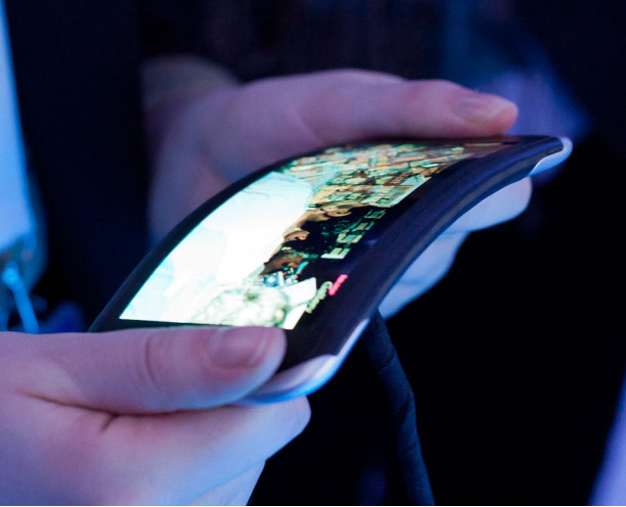 Samsung has touted its “Youm” flexible displays at Mobile World Congress earlier this year, but Samsung promised to produce flexible smartphones by Q1 2013. As you can see, this has yet to be done. These types of technologies will be wonderful when produced, but they may be more futuristic than tech enthusiasts believe. Android Police provided further information. Instead of being a smartphone-only project, the “X” project would later include an “X tablet” line as well (http://www.androidpolice.com/2012/12/21/motorola-and-google-are-working-on-an-x-phone-according-to-wsj-rumor-that-kind-of-states-the-obvious/). Android Authority decided to postulate its own thoughts after receiving rumors about the Motorola X Phone earlier this Spring. According to Smith, “hidden friends in high places within the industry” relayed new information about the Motorola X Phone: it would run Android 5.0 (Key Lime Pie, or “KLP”) right out of the box, have an edge-to-edge, five-inch display, and would implement software features similar to Samsung’s S-beam and other features (current ones such as Smart Pause, Smart Scroll, and even S-health as well). The device would be “bezelless,” a “non-Nexus device,” and would be revealed at Google’s I/O Conference. Unfortunately, Google did not fulfill this wish this week, but instead revealed a second Google-Samsung smartphone project (the GS4, Google Edition). By the end of January 2013, Android Authority came back with more details about the Motorola X Phone. Not only would the phone be a “multi-carrier phone,” the Android site claimed that the phone would make its way to Verizon first and that Verizon would charge $15 as a monthly fee for those who want an unlocked bootloader. As for the Google Play Store, it would sell the device unlocked outright for $299 — matching the price of Google’s current Nexus lineup. As for the date of the Motorola X Phone release, Android Authority placed the date around July 8th while also making it clear that we should not “be surprised to see that date change” (http://m.androidauthority.com/motorola-x-release-date-pricing-rumor-149279/). Around the same time, Android Community chimed in with some rumor news of its own. The so-called KLP update (Android 5.0) was labeled “tentative” by the site and it was suggested that the Motorola X Phone may even provide an Android 4.5 update for the new X Phone. Android Community reported earlier this year that “what we do know is that Google and Motorola are nearly finished with the Motorola X Phone, and have now switched over to building the X Tablet,” citing the Wall Street Journal as its credible source (http://androidcommunity.com/motorola-x-phone-rumors-claim-may-release-5-inch-screen-all-major-carriers-on-board-20130121/). The Wall Street Journal is a credible source, and there may be truth in what the WSJ reports; at the same time. Android Community also sites unofficial Android blogs such as DroidForums that claim the Motorola X Phone will be sold at the Google Play Store for AT&T, Verizon, Sprint, and T-Mobile (that’s right: all four major carriers!). There are a few specs that were tossed around that seem plausible, such as a 1080p, quad-core processor, 12MP camera, and 3,300mAh battery. These specs seem reasonable for 2013; others, however, are totally off the radar. 4.7 or 4.8-inch display (contradicts the earlier claims of a 5-inch display)? 128GB of internal memory storage? As mentioned above, some of these rumors seem to be well-informed and in the ballpark of what the actual Motorola X Phone will be; others, however, are a result of what happens when one lets his or her imagination run wild. Rumors about upcoming smartphones get tech enthusiasts excited about the future and the potential of smartphones. The problem with rumors, however, is that at some point, one must separate the true or “possible” from the “highly improbable.” Fortunately, there is an X Phone update so that we do not have to wonder about the truth. Earlier reports from Android Authority and Android Community stated that the Motorola X Phone display would be somewhere between 4.7-5 inches; Android Authority’s recent work on the subject believes that the Motorola X Phone will have a 5-inch, full HD display, a 10 megapixel, rear-facing camera (in opposition to the former rumor of a 12MP camera), as well as a dual-core, Qualcomm processor. Formerly, it was said that the Motorola X Phone would have a quad-core processor (four cores as opposed to two cores), but it seems as though the processor standard was simply too much for the rumored smartphone. Remember the July 8th date when the Motorola X Phone would go live? Well, the new claim is that the phone will be given to an exclusive carrier in July (most likely AT&T, as shown in recent photos), followed by a larger launch in November, near Thanksgiving and around the time that Google may reveal new tablets as it did in 2012. As for hardware casing, users may be given the choice of choosing between a plastic case, metal case, or carbon fiber case. Unlike previous Motorola phones with Kevlar backing, this would grant each user the right to make his or her own selection — and would prevent Motorola from shunning users who do not agree with one particular material (such as plastic, a critique often made against Samsung Galaxy smartphones). Finally, it has been said that Google Glasses and the rumored Google smartwatch will be ready for prime time due to their compatibility with the upcoming Motorola X Phone. Until the phone emerges, it would be wise to take these rumors with a grain of salt. As for the 128GB internal memory storage rumor noted earlier? It seems to good to be true. And if something seems too good to be true, it probably is. Two weeks ago, Twitter tech group @evleaks released some images of a Motorola phone that looks similar to a Google Nexus device, although the “Motorola” name and logo make a Motorola Nexus device doubtful here. One of the photos that has turned heads regarding the Motorola X Phone is the smartphone with the Motorola name that has the label “Model: XFON ATT” on its back casing. The “XFON” photo (https://twitter.com/evleaks/status/330067905704247297/photo/1)shows the back of the phone with a polycarbonate shell (one of the customized casing options users will have) and the label that makes us think this phone is the Motorola X Phone. The Verizon phone has registered with a similar score on AnTuTu benchmark tests as the supposed XFON has — leading many to think that both carriers may be soon to get the same phone. In addition, both phones will come preloaded with Android 4.2.2 and are headed to the United States. The latter phone has the model number XT-1058, leading many to think that it is the same handset designed for Verizon instead of AT&T. And the fact that the Verizon handset is named “Obake” points to the varied nomenclature of handsets with carriers, not to a different model smartphone entirely. In short, I think both smartphones are the Motorola X Phone, designed for different carriers on different networks. With that said, however, a few things remain. What’s in a name? Well, a lot — if you are a carrier, that is. The letter “x” is used in mathematical equations (3X=24, for example), to mark destinations on maps and typographical charts, and is used in conversation to refer to a hypothetical concept or idea. In these contexts, “X” does not refer to a specific name, but rather, to a blank area in which one can fill in the space with a word of his or her choosing. I think this is the rationale behind the so-called Motorola X Phone. It is no secret that Google looks to make the Motorola X Phone customizable for users. The same privileges Google wants to grant users may be applied to carriers also. One of the battles that manufactures face with carriers is the desire of carriers to “rename” devices to fit their alphabetical list or smartphone inventory. If Google named the device the “XFON,” AT&T, for example, can either keep the name “Motorola X Phone” or trade it in for another name. Verizon often likes to change the names of its devices, so perhaps Big Red will brand the Motorola X Phone after the Droid Razr or Atrix series. This is all the information we have for now. When we get new information on the Motorola X Phone, you’ll be the first to know.